When purchasing M8, beyond this size, there is no room for selection such as there are only SUS products in the home center, I requested this time. However, since only 4 pieces are needed quantitatively, I want a little more packs. Because there is a management problem, I do not mind packing about 10 pieces. This review is about item#5695304. With the specified parts, there is no problem, assembly has been completed successfully. This review is about item#5694841. It is goods to be ordered at home centers and tool shops, but it is quickly delivered and saved. Although it is used without any problem, there are many times when the number of packs is too large, because the number of packages is decided. This review is about item#5695401. This review is about item#5695182. Dents with a flat screwdriver of the countersunk screw were good, and it tightened tightly. This review is about item#5694604. This review is about item#5695112. Used as part of the chuck plate of the ejector. Since it will be lost as soon as a small amount, I am satisfied with this price with this quantity. This review is about item#05694437. In the past, pack items came in a simple case, but it is regrettable that they are sent in plastic bags here and sent. The one with the case is convenient to organize and convenient. This review is about item#05695042. I used it for making vice for fishing. 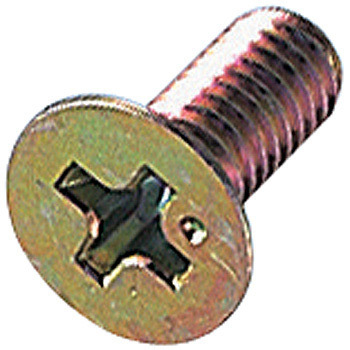 I recently did not have the screws "iron / chromate" of countersunk head screws, Olympic games, J mart and others, but it was expensive but it was expensive. I will also make an odor again soon. There is no problem on the product. This review is about item#05694796. It is hard to lick and easy to use. This review is about item#05694464.